A path from the parking area leads to the front door and then to the entrance hall and living area with a stairway to the first floor landing. UPVC double glazed to rear aspect, fitted with a range of units comprising a single bowl single drainer stainless steel sink set into rolled edge laminate working surfaces with drawer and storage units under. 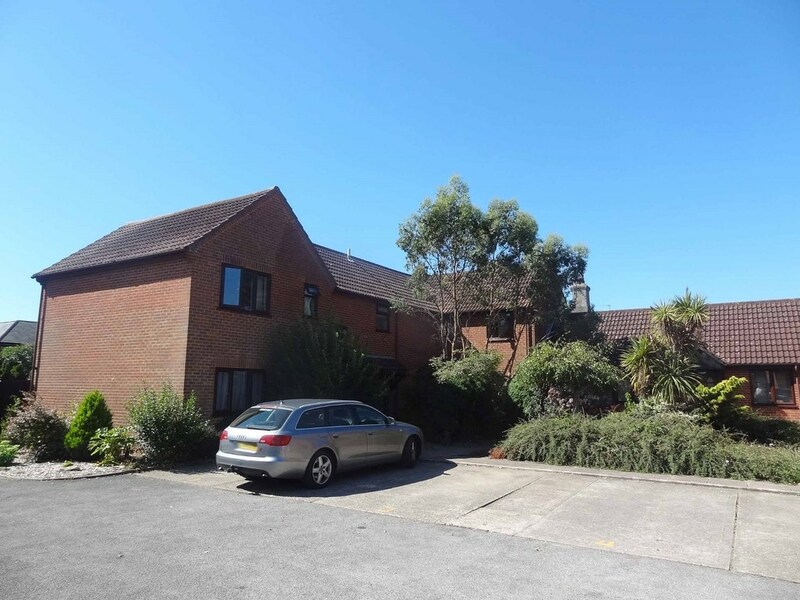 Cooking facilities are provided by a inset electric hob with housed oven under, space and plumbing for washing machine and integrated fridge, space for breakfast table, inset spot lights and one of the wall units houses the gas fired central heating boiler. A door way from here leads to am inner lobby with doors to the lounge, and Master Bedroom. N.B Agent’s Note this lobby lounge and bedroom with en-suite can be made self contained to provide a one bedroom flat and it is currently laid out in this format. UPVC Double glazed front doors leading through to the rear garden. 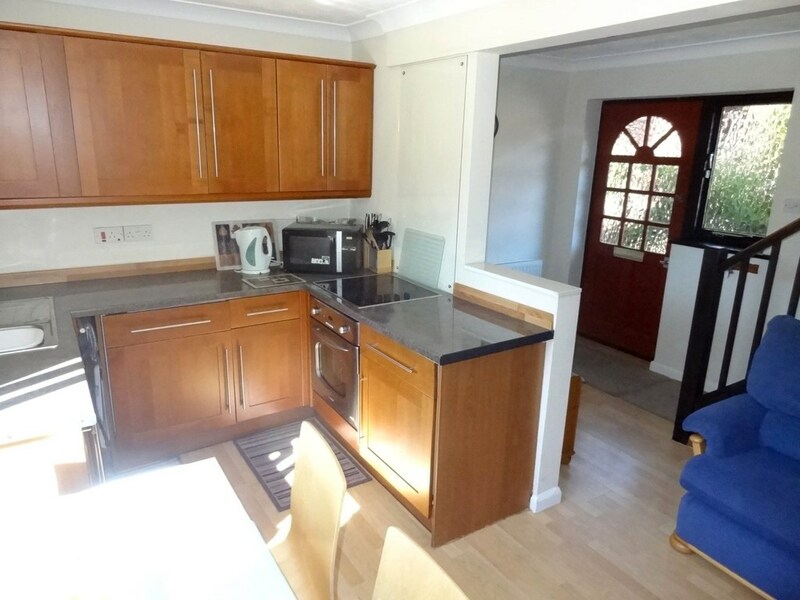 The room has ample space for both sofa and dining suite if required and currently being used as a separate flat to one wall is a range of kitchen units with additional sink matching that of the main kitchen. There is an integrated fridge and a further separate window to the side aspect. Obscured glazed window to front aspect, fitted with a closed coupled w/c, corner basin and step-in shower cubicle with wall mounted shower and fully tiled walls. Window to rear aspect over looking garden and the living room downstairs, to one wall is a full range of Louvre doored built-in wardrobes with hanging and shelve storage space, ample space for double bed and additional furniture as required. 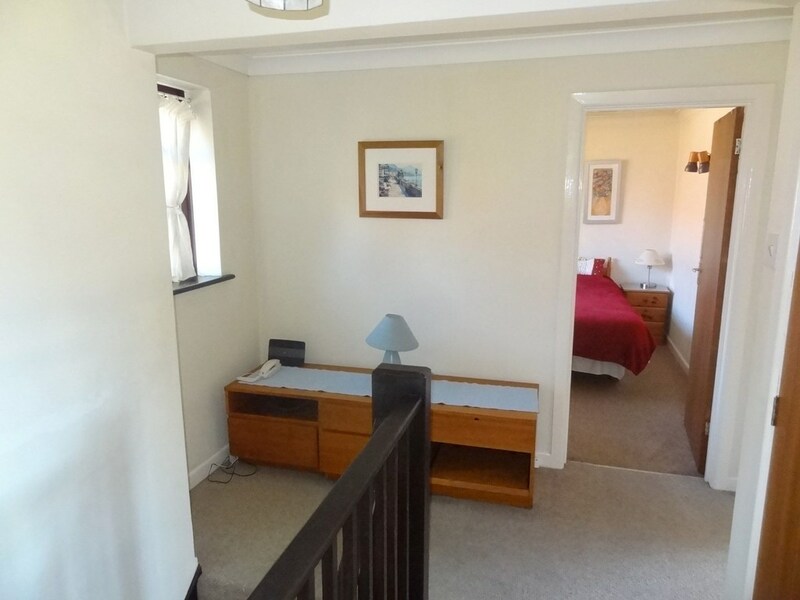 Window to front aspect, ample space for double bed, wardrobes and additional furniture as required. 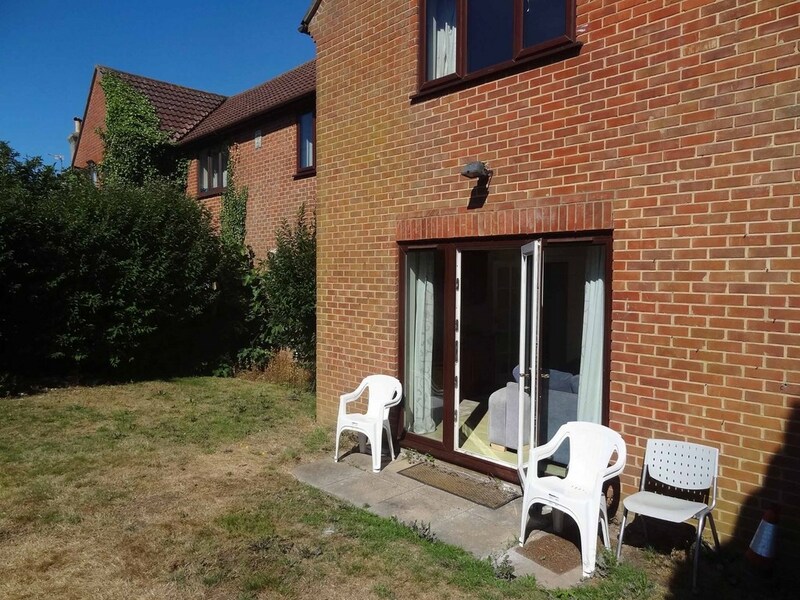 Window to rear aspect, space for a double bed, range of Louure doored built-in wardrobes with hanging and shelve storage space, and additional furniture as required. Obscured glazed window to rear aspect, fully tiled walls and fitted with a modern white suite, comprising bath, separate shower over and hinged glass screen, adjacent pedestal wash hand basin and matching closed coupled w/c, shaver point. 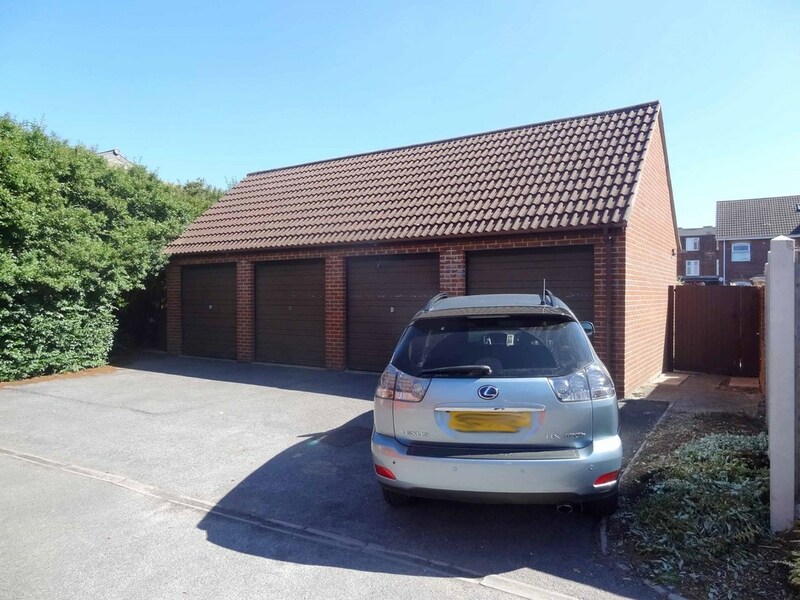 In addition to the parking spaces the driveway continues to the right to a garage block where there is an individual garage for this property, it is single in size, pitch roof additional storage area and up and over door to the front. A path from here looks to the front door as previously mentioned whilst to the left of the house is a gate that leads through the rear garden which can also be accessed via the doors from the living room, immediately adjacent is a small paved area with the main body of the garden then extending away from here laid to lawn with the boundaries provided by a combination of low walling and conifer hedging, the garden has a sunny southerly aspect.